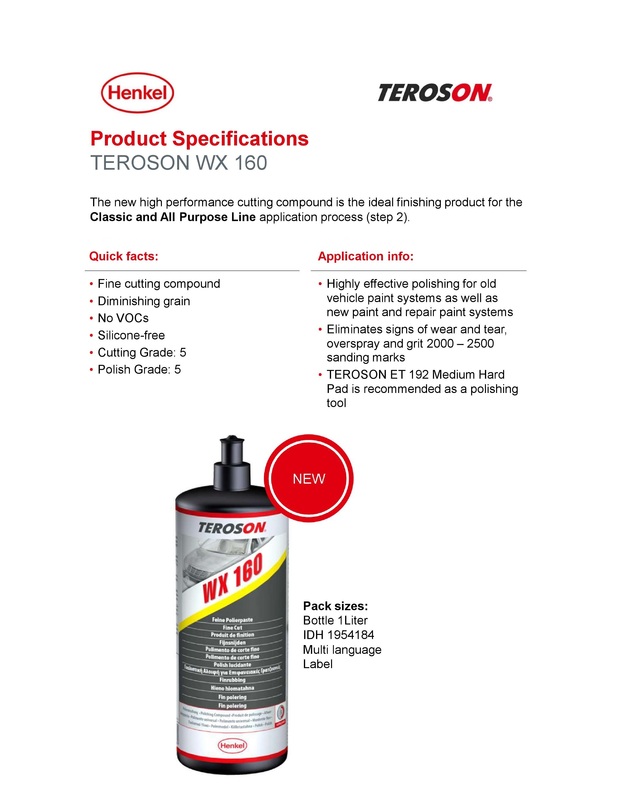 TEROSON WX 160 is a fine cutting compound with diminishing grain technology perfectly suitable for the polishing step within the Classic and All Purpose Line. It is recommended to be used for polishing of old vehicle paint systems as well as new paint and repair paints systems. TEROSON WX 160 has low dust emission and is silicone-free.